A french billionaire has pledged 100 million euros to help rebuild Notre Dame Cathedral following a destructive fire. 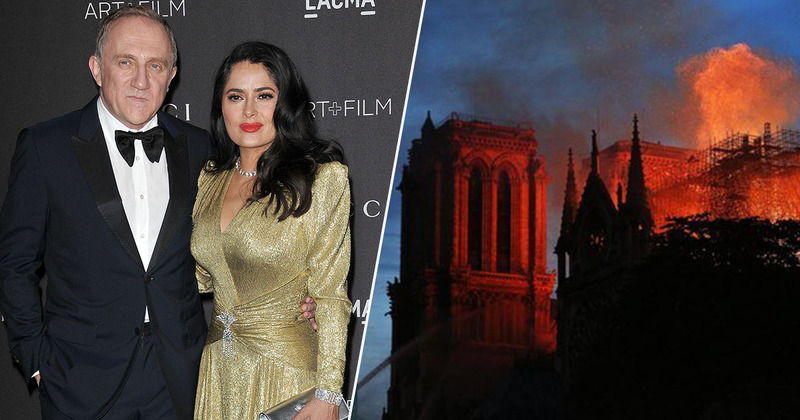 Businessman Francois-Henri Pinault, the chief executive of Kering which owns brands including Gucci, made the announcement only hours after the blaze started. The major fire engulfed the 850-year-old Parisian landmark yesterday (April 15), destroying its roof and spire. Firefighters managed to get the blaze under control nine hours after it started, saving the medieval cathedral’s main stone structure and two towers. Although the cause is yet to be determined, it is thought to be linked to the extensive renovation works which are currently underway. Speaking to the media at the scene shortly before midnight yesterday, French President Emmanuel Macron promised to rebuild the Gothic landmark. The cathedral has stood since 1260 after work started on it in 1160. It has been modified throughout the centuries. Regarded as being culturally significant, the Notre Dame has inspired writers such as Victor Hugo who wrote The Hunchback of Notre Dame. World leaders have been reacting to the news, expressing solidarity with the French people. It is thought it may take several days to completely extinguish the flames, which firefighters have brought into a manageable state.